New Chief Justice of Pakistan Asif Saeed Khan Khosa took oath after the retirement of Chief Justice Mian Saqib Nisar. Justice Khosa is now become the 26th Chief Justice of Pakistan today on Friday 18th January, 2019. He has taken the oath in presence of the Prime Minister Imran Khan and President Arif Alvi. The oath taking ceremony was held today on Friday in the President House Islamabad, where Arif Alvi has taken the oath from the new chief justice of Pakistan. 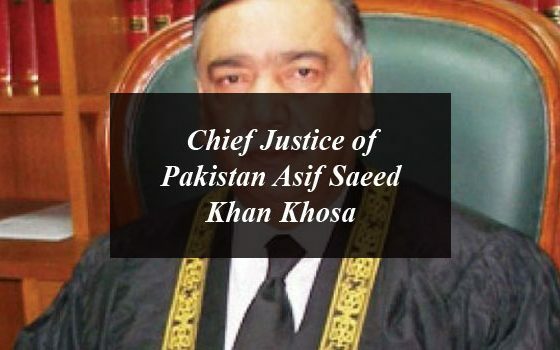 Asif Saeed Khosa, who was born on 21st December, 1954, in Dera Ghazi Khan will serve as the Chief Justice for almost eleven months to retire on 20th December this year. Saqib Nisar on the other hand had render his services as the Chief Justice of the Supreme Court for twenty months. Neither the president nor the prime minister has any role in the appointment of Chief Justice, except that the president issues the notification for such mandatory choice and administers the oath of office. According to the rules, the senior most judge inevitably stands higher as the chief justice and is officially sworn in as such after the retirement of the obligatory chief justice. 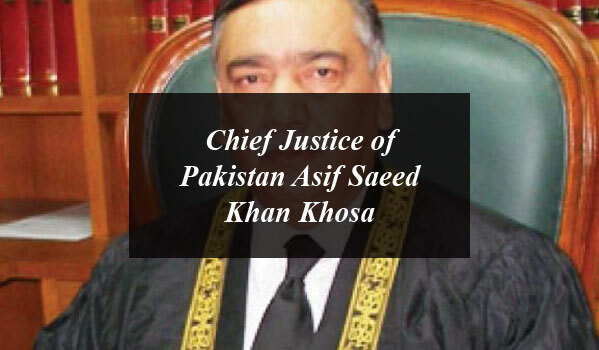 The new chief justice of Pakistan Mr. Asif Saeed Khan Khosa belongs to Khosa tribe of Baluchistan. Justice Khosa passed his matriculation in 1969 from the Multan Board, securing the fifth position. 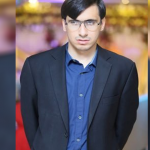 He did his intermediate from the Government College University (Lahore) and secured the first position in the Lahore Board. He also completed his B.A from the Government College Lahore in 1973 and at Punjab University and secured the first position. He did his masters in English Language and Literature in 1975 from the University of Punjab. 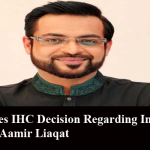 In May 1988 he was appointed as the Bench and was also appointed as Lahore High Court Judge. On 18th February, 2010, he was elevated to the position of a Supreme Court judge. It is important to mention here that Mr. Khosa was among those senior judges who refused to take oath under the Provisional Constitutional Order (PCO) in the reign of Pervez Musharraf in 2007. On 2nd January 2019, President Arif Alvi approved Khosa’s appointment as the next Chief Justice of Pakistan. Now he become the 26th Chief Justice of Pakistan after the retirement of Justice Saqib Nisar. Justice Asif Saeed Khan Khosa Become the 26th Chief Justice of Pakistan. New Chief Justice of Pakistan Asif Saeed Khan Khosa took oath after the retirement of Chief Justice Mian Saqib Nisar.